Tom Begich, Croatian American from Alaska, has been elected to the State Senate there and won in the Anchorage downtown “J” district. Tom ran unopposed in the general election after he won the August 16th Democratic primary with 62% of the vote against Ed Wesley. The Senate seat opened up when long time Democratic State Senator Johnny Ellis retired after 24 years. This popular incumbent endorsed Tom in the competitive primary race which was a key endorsement. Tom ran an energetic and issue-oriented campaign to win a strong majority of votes in this crucial party primary. This was Tom’s first campaign for office and he will be sworn in to the Alaska State Senate on January 17, 2017. Thus, the Begich family has another elected official serving the citizens of Alaska, like his father, Nick did as a Congressman and as his younger brother Mark did, as the Mayor of Anchorage and U.S. Senator from Alaska, 2009-2015. His father was the first Croatian American to serve as U.S. Congressman and his brother, was the first Croatian American to serve as an U.S. Senator. 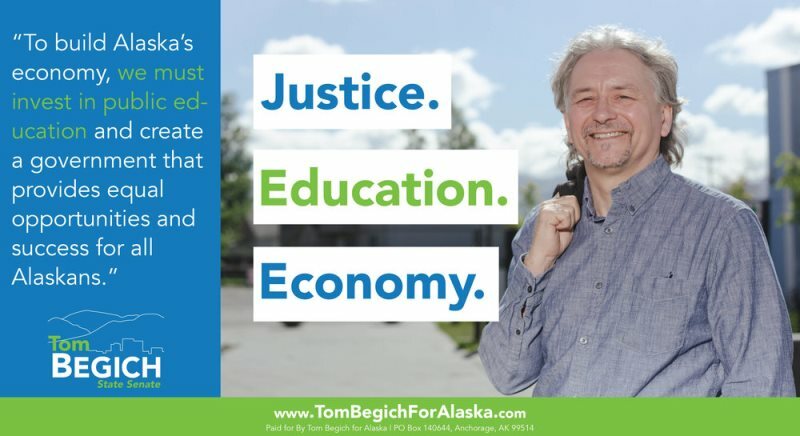 Tom has been politically active his whole life as a Democratic activist and campaign political operative with many Alaskan campaigns over the years. Tom Begich is the owner and operator of CW Communications, a firm devoted to strategic planning, facilitation, and communications. Tom specializes in the areas of juvenile justice, education and government relations. Tom currently works as Government Affairs Director for the Coalition for Education Equity and is a faculty member and an active coach with Reclaiming Futures, a national juvenile justice initiative. He provides training throughout the country and in Alaska in juvenile justice, restorative and community justice, community development, strategic planning and media relations. Tom enjoys a professional career as a musician and writer with seven CD’s of professional music and even a book of poetry to his credit. He is also the Executive Director of the Nick Begich Scholarship Intern Fund which honors his father’s legacy. For nineteen years, Tom served as member, including three terms as chair, of the Alaska Juvenile Justice Advisory Committee and was recently reappointed to that Committee by Governor Walker. He presently Chairs that Committee. Tom also served as the National Chair and in a number of leadership positions for the Coalition for Juvenile Justice (CJJ) from 1995 - 2008. Tom has held a wide variety of positions in the fields of juvenile justice and youth development including Community Justice Coordinator for the State of Alaska, Project Director for the Alaska Native Justice Center, and Wellness Director for Cook Inlet Tribal Council. 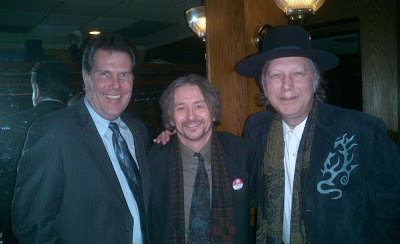 Steve Rukavina, Tom Begich and Nenad Bach.